A growing heroin epidemic is plaguing the United States. The increase in heroin usage has led to a surge in overdoses and related deaths. 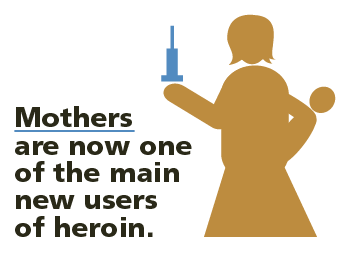 In 2013, there were over 8,200 heroin-related deaths. To combat these factors, Narcan was created. Narcan, also known as Naloxone, is a prescription medicine that acts as an antidote and reverses an opioid overdose. This safe and effective medication has been used by law enforcement officials since 2010. Due to its high success rate, communities are now educating citizens on the drug and how to administer it. Narcan was created by research scientist, Dr. Jack Fishman. Originally exclusively used by physicians, government officials and lawmakers now have access to the lifesaving drug as well. They are advocating civilians carrying and administering the drug to counteract the abundance of heroin usage and overdoses. The first municipality to allow police to outfit officers with Narcan was in Quincy, MA. Due to its lifesaving success, firefighters were then able to carry it as well. Since it has been added to these two departments, over 200 heroin overdoses have been reversed. The Patriot Ledger reported that since municipality officials began using it, in Massachusetts there have been over 19,000 enrollments by civilians in programs to educate themselves on how it should be used. Since the enrollment, over 2,000 potential overdose deaths have been reversed. 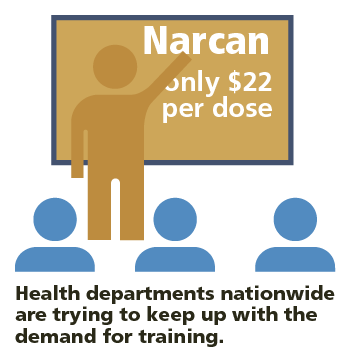 Narcan is both cost effective and efficient. Narcan is both cost effective and efficient. Only costing $22 per dose, this is a small price to pay in order to save a life. Overdoses are a senseless and preventable cause of death. The American Medical Association (AMA), has been a large supporter of increasing access to Narcan to physicians, civilians and first responders. Originally only available in injection form, a nasal spray has now been released to the market. The AMA believes that nasal spray will be less intimidating than the injection for bystanders to use. 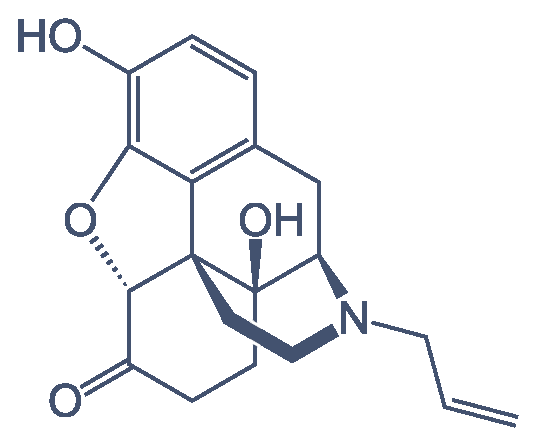 This prescription medicine blocks off opioids during an overdose causing a reverse effect. Once injected into or inhaled by the overdosing individual, within about 5 minutes their breathing will return to normal. The AMA stresses how critical quick response time is. The lack of oxygen to an overdosing victim can result in brain damage. Narcan also allows more time for first responders to arrive on the scene. If taken by someone that has not overdosed there will be no effect. An individual can also not get high from this substance. Heroin is a dangerous, highly addictive drug that has been spreading across the country claiming the lives of more and more victims. What was once mainly used by male, lower class citizens in urban areas has now made its way to the suburbs, one of its main users being mothers. Heroin can be taken a variety of ways, including snorting, smoking or injecting. Studies from the AMA declare that more users are snorting heroin, due to the stigma of injecting it. Heroin is so addictive that just a few short hours after using, most addicts crave another hit. Many addicts continue to use to avoid the severe side-effects of withdrawal such as vomiting, diarrhea, restlessness and severe aches and pains throughout the body. The effort for combating this is especially strong in New York City and Suffolk County, Long Island, where heroin has become a particularly dominant force among more groups. Many experts speculate that since heroin has been able to infiltrate an increasingly larger portion of the US population, including upper-middle-class and affluent households, citizens are looking to protect themselves and those that they love. Tina Wolf, executive director of Suffolk’s Community Action for Social Justice, is leading the charge, holding public training on Narcan Administration at libraries. She’s even making private house calls to families who seek discreet advice on reviving an addicted friend or family member. So for her, efforts to promote the use of Narcan and increase training for bystanders has been successful. National Public Radio (NPR) reports that health departments nationwide are trying to keep up with the demand for training. So far, it’s on track to distribute over 30,000 doses of Narcan this year. NPR also stated that although there has been an increase in training for first responders and civilians, some states have been opposed to it and voted down bills that would increase Narcan’s prevalence in the community. New Mexico was the first state to pass the law addressing Narcan and access to it. Passed in 2001, it guarantees criminal and civil immunity to prescribers of Narcan and allows for third party prescription. This means that a concerned civilian may administer the drug if needed due to an overdose. Since this Good Samaritan law has been passed, 22 other states have followed suit. Although the terms vary from state to state, in general, it has broadened access to Narcan. Since 2014, seven other states have considered adding this legislature to their communities. it is essential that Narcan be made available to anyone Due to the growing substance abuse epidemic, it is essential that Narcan be made available to anyone, be it police officers, first responders or civilians. The first few moments in an overdose are the most critical. Educating the general public on its purpose and how to administer it will continue to save countless amounts of lives. Although this fix has been helpful, government officials and policy makers must continue their work to establish new laws to help hinder and prevent substance abuse. If you or a loved one is struggling with heroin addiction, allow Seaside Palm Beach to aid in achieving sobriety. Our luxury, state-of-the-art facility promotes a comprehensive, holistic approach to treatment. We’ve already helped guide thousands of patients toward balanced physical, mental and spiritual wellness. Seaside Palm Beach has a variety of specialized therapy program designed for sobriety success. We promote “living recovery,” where our patients can continue to work and connect with friends and family. To learn more about our facility and to begin your journey to sobriety please call (888) 997-3274.